I’ve a bedroom to let from April onwards. The modern furnished Apartment with Harbour views is FULLY FURNISHED. 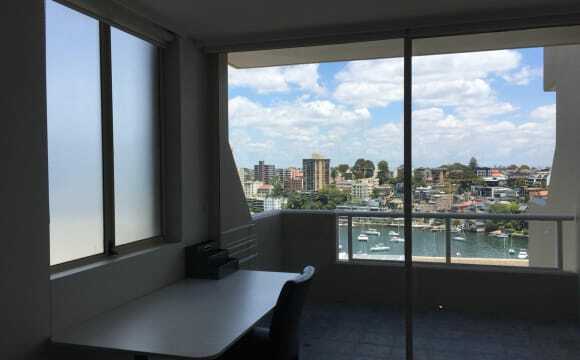 This spacious two bedroom apartment is located on the 4th floor of a well maintained security building facing West overlooking Lavender Bay. 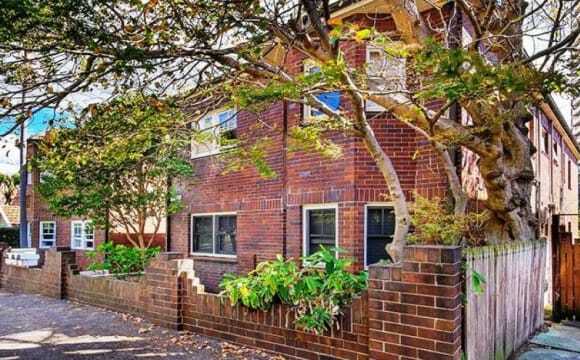 The property is positioned across the road from Milsons Point train station, bus stop and only minutes walk to shops and cafes. • Spacious combined lounge/dining room flowing onto balcony • Modern kitchen with black granite benchtops and newish appliances Stylish modern bathrooms with separate bath and shower to main. • Great sized bedrooms with both offering generous built-in wardrobes Air-conditioning; good sized hallway linen cupboard • Ground floor common area gymnasium • Lock-up undercover garage; Internal laundry You may contact me for viewing if you are interested. Have a lovely day! It is a spacious 2 bedroom ultra modern apt with a huge balcony. Great address, concierge and close to shops, cafes and train station. Bus at the door. Ideal for someone who loves the city and lower north shore living. Suit a quiet person as I am very quiet and work a lot. 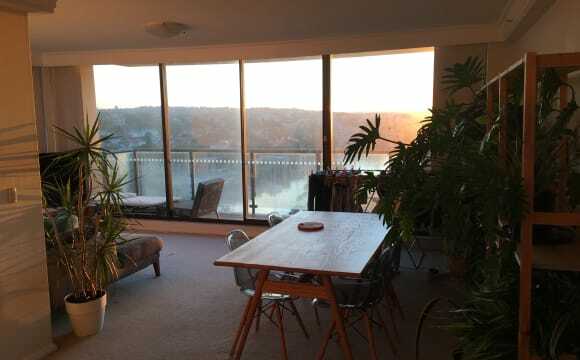 My current flatmate has been with me for 7 years and he is moving abroad for work:( Come along and view and you won't want to leave. One of only a handful of homes privileged with such an intimate perspective of the harbour, capitalise on this rare opportunity to live each day amongst postcard surroundings. Recently updated with fresh paint and new flooring throughout. New floor-to-ceiling windows transport the outlook inward with glass balustrading ensuring safety without impeding the spectacular Sydney vista. 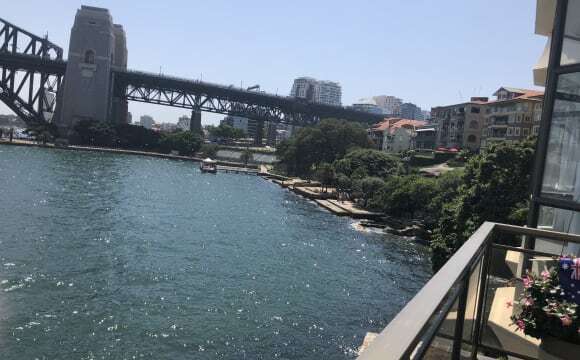 Overlooking waterfront parkland underneath the Harbour Bridge and beside Jeffrey Street Wharf, watch your morning ferry travel to you from Circular Quay. Equally convenient to train and bus, Milsons Point Station is just footsteps away along vibrant village cafes and celebrated fine dining restaurants. - painted with new carpet throughout - Oversized main bedroom with tiled flooring (your private room) - Functional gas kitchen with food-in dining area - Internal laundry block also provides the communal laundry - Classic bathroom with bath and shower - Rear entrance with semi private courtyard -The living room has a view of the opera house and the harbour bridge -Brand new furniture, beds, wardrobe sofas are all new Note: This apartment does not provide parking Spaces. I'm sorry if you need parking Spaces, this apartment is not suitable for you! Very large room with comfortable spinal support bed and plenty of storage. 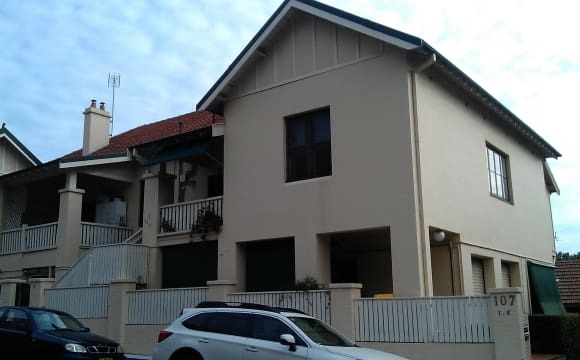 10 minutes walk to Milsons Point Station. 10 minutes walk to Luna Park. 5 minutes walk Bradfield Park with view of Harbour and Opera house same view from back of house! The suburb is amazing, flat is awesome and the room is huge! Big toilet and shower, with decent kitchen. Well photos will speak for itselves. 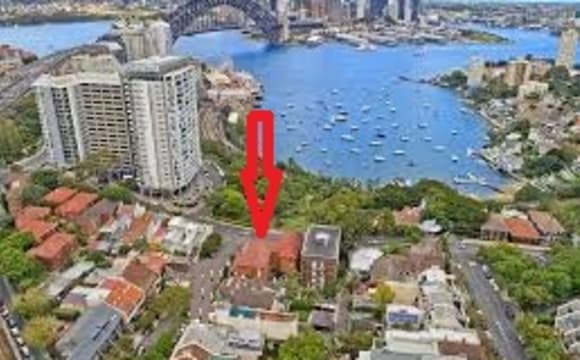 Available soon at the end of April, I have a large and light room (with queen bed and built in wardrobe and drawers) coming up in a 2 br furnished apartment in Kirribilli. The building is very elegant and on the waterfront. Internet is connected already and included. Other utilities are connected, and an amount could be worked out in addition for bills such as electricity, or a simple reimbursement arrangement. 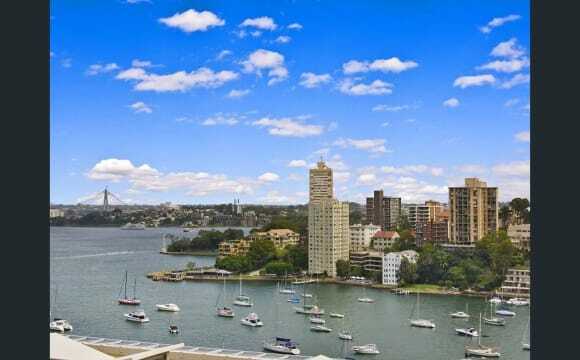 The apartment is furnished to an executive standard, and is great for young professional travellers, who love the location near the Harbour Bridge, and close to the ferry and train to the city. It is best to message me on flatmates please, rather than text initially. 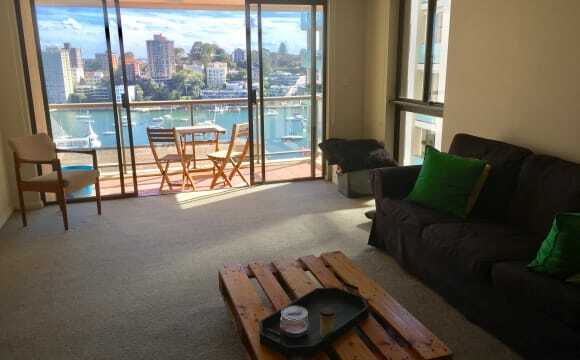 This apartment is ideally located, fully furnished with general hold things, 6 minutes walk from Milsons Point station and 4 minutes walk from North Sydney station. It is a 20 minute walk into the CBD across the bridge. 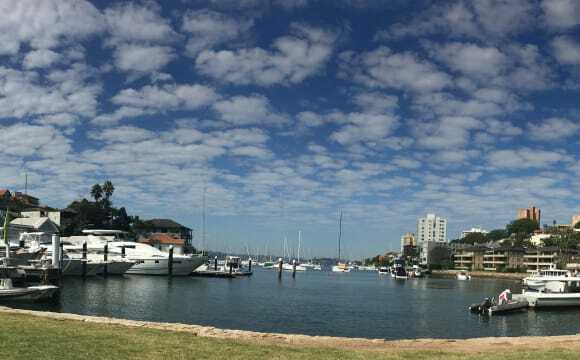 Walk to cafes and shops on Blues Point Road or in Kirribilly, and supermarkets and shops in North Sydney. Walk across the road to Wendy Whiteley’s secret garden and Clark Park on Sydney Harbour. On-street parking. Your room: Your room is for a single person. Is a room easily suited to a Double sized bed with full built in robes. Fully furnished: linen, quilt, towels. You will share: bathroom, separate toilet, laundry room, dining room with a little balcony which looks at Wendy's Secret Garden, kitchen. Bills: electricity, gas, internet NOT included in the weekly rent. House rules: No noise at night and in the morning. No parties. No smoking at all. To be clean in private and common living areas. 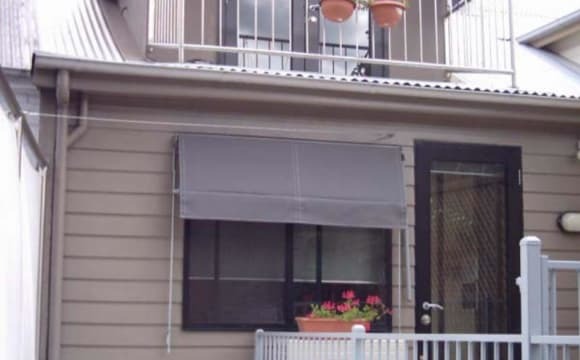 Bond $1095 (3 weeks) Rent Rent is $365 per week PLUS bills: electricity, gas, internet (5$xday) Rent is payable fortnightly in advance commencing from your first day rent. Very large private bedroom available. 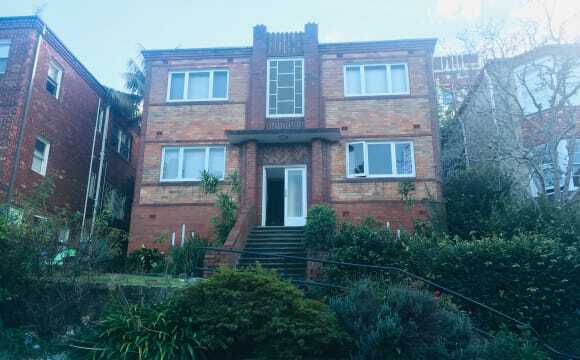 Main features: - Private kitchenette - Swimming Pool (with views of Harbour Bridge and Opera House - Off-street parking - Sauna (in the apartment, not the building) I have a large, (~140sqm) 80's style apartment on Lavender Bay with direct access to the water and swimming pool. Spectacular views from building's common areas of Sydney Opera House, Harbour Bridge, Luna Park and the city. The room is furnished (Queen bed, an armchair, a desk + chair, small sofa, wardrobe) You also have your own private kitchenette with basin, fridge, kettle, French press. We have plenty of storage space in case you need to bring a bicycle or sports gear, and short term visitor parking is available on premises. (Parking spot available for additional fee) Large shared lounge, dining room, kitchen balcony. 4 minute walk to ferry stop from where it's a 7 minute ferry ride to either Circular Quay (CBD) or 14 min to Darling Harbour. You can also cycle across the bridge to the CBD! (~20 minutes) Our neighbourhood has plenty of delicious eateries, cafes and bars concentrated around Blues Point Road, less than a 5 minute walk from our house.